will the v3 accessport work with my agency power short ram intake and invidia turbo back exhaust on my 07 subaru sti? A: Unfortunately, this would not work with the Agency Power intake, Cobb's OTS maps for your vehicle are specifically made to work with Cobb's intake. A: The Accessport will work for any combination of mods, but the you will be limited on the pre loaded maps. Although you have the ability to tune it yourself by logging data and tweaking, the best option is to send the logs to a professional and have it etuned (without the need for a Dyno). Will this work on my Australian 06 sti? A: It will not work on Australian models. Cobb does make APs for Australian models though, I would recommend contacting them directly for info. Will this work for my 2013 Subaru Legacy 2.5i premium? A: Accessports are only made for turbocharged Subarus at this time. Would this work with a stock 04 forester xt? i have a 2004 wrx sti and all i have done is a invidia catless down pipe and cobb exhaust system. and also a injen intake. Would this work for my car? and also if i were to purchase this i was planning to get a hks blow off valve would i have to retune my car for every upgrade i get? A: You would need a custom tune with the mods and the COBB OTS maps would not work. A: It is all personal preference really, however the Accessport is the most diverse and accepted method by tuners across the country. Will this version of the accessport work with a 2005 Legacy GT? A: Yes, This will work on a 2005 Legacy GT. Will I Be Able To Access Launch Control And Flat Foot Shifting On My Wrx Tr ? A: For the 2006+ WRX Flat Foot Shifting was enabled for the Cobb Acess Port. A: The Cobb map will be setup for a Catted downpipe as well as the Cobb Intake. There are a few things that could be causing issues with the vehicle but Cobb doesnt have a map that would work with your current setup. A: No, the 2004 Subaru WRX accessport is DIFFERENT from the 04 STI accessport. They will not marry to that vehicle. 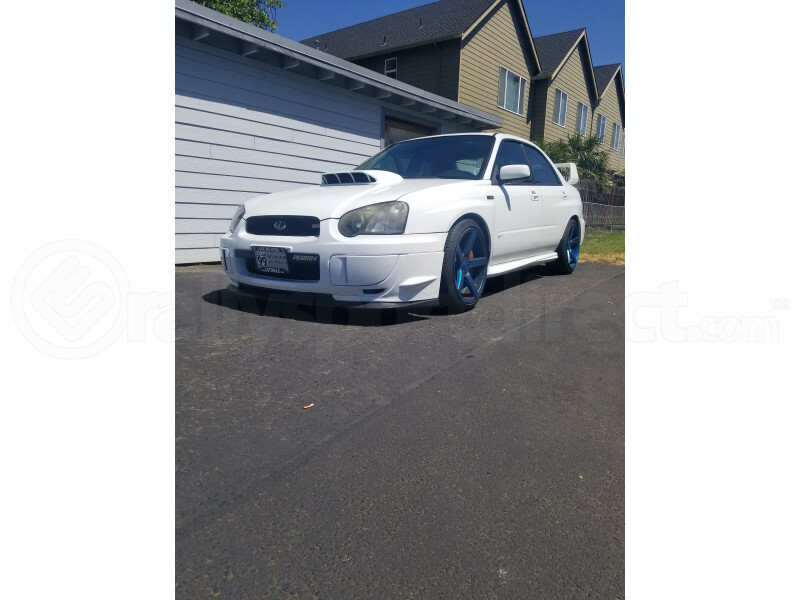 I have a 2005 wrx with a 2007 sti engine and AEM 30-1810 ECU. Would this be a complete waste of money or is there more to gain for me? A: The Accessport is designed to work with the factory ECU, Its not likely a good fit with a stand alone ECU. I was never sent the white installation connect that is needed that is needed for my 05 sti what should I do? A: The white tuning initialization connector is only needed for 2003-2005 Subaru WRX models. So your 2005 STi will not need the connector. Which COBB OTS map should I select? I have installed Subaru SPT high flow air intake, HKS SSQ Blow-off valve and Perrin Turbo Inlet on my 2005 Subaru WRX STI. A: Cobb maps are only confirmed to work with their products. Your best option is to consult your tuner. Can l run stage 2 with cobb air intake and unknow brand downpipe on my 2007 subaru sti? A: As long as its a catted 3 inch downpipe, you would want to use the Stage 2+ map for your fuel type. Will this be compatible with my 2002 jdm forester? A: We can't confirm fitment for JDM vehicles. A: This is not going to be a good fit for your vehicle. At this time, Cobb doesnt have an Accessport for JDM vehicles. How to determine which region ECU I have? To my knowledge and VIN I have USDM MY06 STI, however, as it is imported to EU I would like to make for sure and check ECU version in advance. Is there a way? A: We are only going to have AccessPorts programmed for USDM vehicles. So if you purchase from us, it will be programmed for a USDM ECU. I recently got a 2005 Subaru STI, what should my first performance upgrade be ? Would the COBB accesport v3 be an option ? A: An AccessPort or a larger rear sway bar would be my vote. The Accessport is one of the simplest, yet most worthwhile mods you can do. A: The Stage 1 93 OCT map would work best for your setup. Enjoy! I can't determine how to configure the display of instrumentation on the device. The included documentation isn't especially helpful; all I can see is a set of six defaults that I don't know how to interpret, rather than, say, a boost gauge, or something else. Any online documentation available? Can i upload a pro tune to the cobb access port tuner and remove and replace it as i please? A: Yes, you can use Accesstuner software to create maps that you can switch between. Okay so i have a 2007 STi with an SPT intake and an invidia N1 exhuast, would i need to get the cobb sf intake in order to use any of the tunes? or am i okay with the intake i already have? i know the accessport is meant to be used with cobb parts but i feel like it doesnt matter as long as i have a high flow intake..
A: The Cobb OTS maps specify that stock and Cobb SF are the only approved intakes for the maps, and we cannot confirm that the maps would work as intended with any other intakes. Many intakes have similar flow characteristics, but even a minor difference can cause problems. We strongly recommend only using parts that Cobb confirms to be compatible. A: Cobb maps are designed to be used with a Catted downpipe. With a catless downpipe, you will be prone to boost creep and other problems. If you do any modification away from the Cobb off the shelf maps, we recommend getting a pro tune. can you go stage 2 with a catless downpipe or does it need to be a catted downpipe? A: COBB's OTS Stage 2 maps require a catted 3 downpipe. I just recently purchased an AP, what is the difference between the 91 & 93 stage 1 maps? A: 91, 91ACN, and 93 refers to the fuel type in your area. You will want to run the map depending on the fuel available. If I have a V3 on my 2015 STI can I marry it and put it on my 2007 sti?? A: Cobb does not have any maps for the K&N intake and we would recommend a Protune because of your intake. The maps are made for Cobb downpipes, but plenty of people are able to use different brands of downpipes with the Cobb maps. We can technically only guarantee compatibility with the parts that Cobb specifies. My local tuner is putting on an invidia n1 street with titanium tip do i need anything if i pick up a v3 AP as well? is it a direct plug and play? Ill be having them do some custom maps for me. A: It will be direct plug and play, nothing else needed. Would it be an odd thing to apply the AP to my current stock setup to be ready for future modifications? A: Not at all! The Accessport has the ability to monitor vital parameters even on the stock tune! Have a nice day! A: The AccessPort can be used for custom tunes and you will need a new tune after installing the AP.